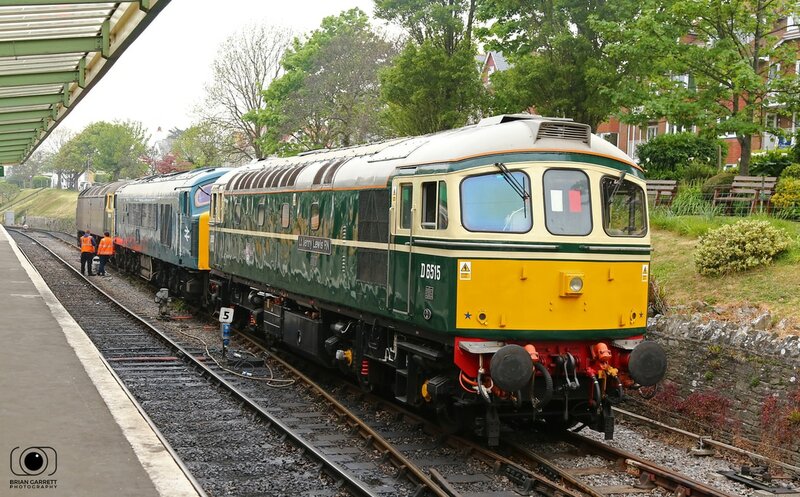 The 5th 6th 7th May 2017 provided a feast of former British Railways Diesel Locomotives at the Swanage Railway for the 'Dawn of the Diesels' event. 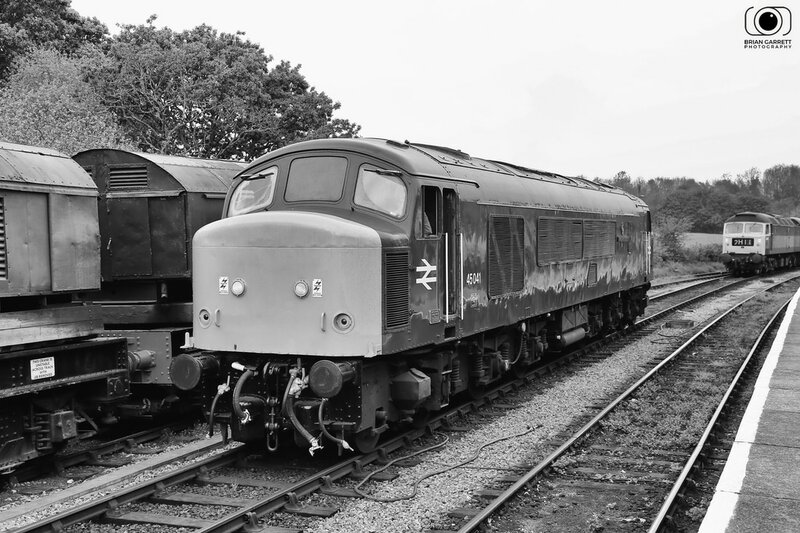 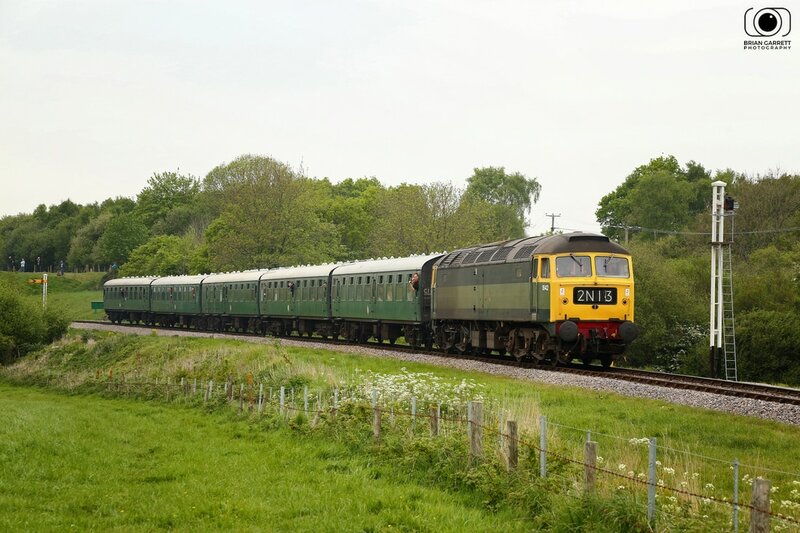 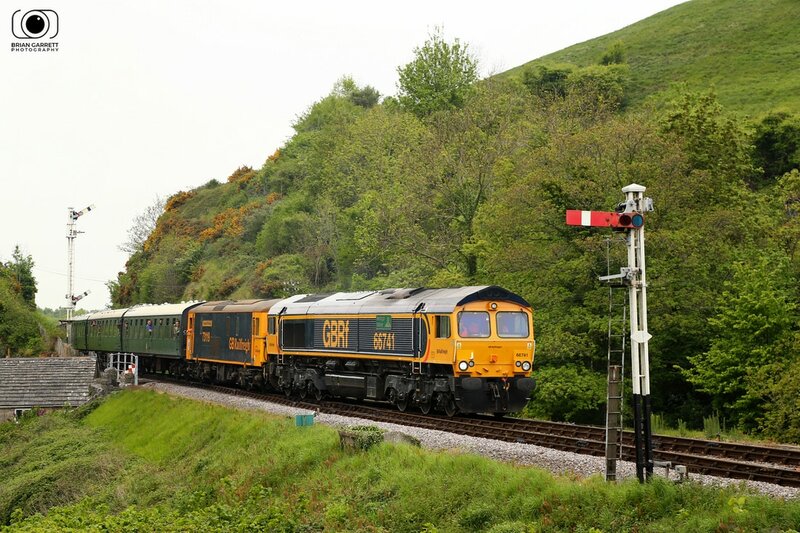 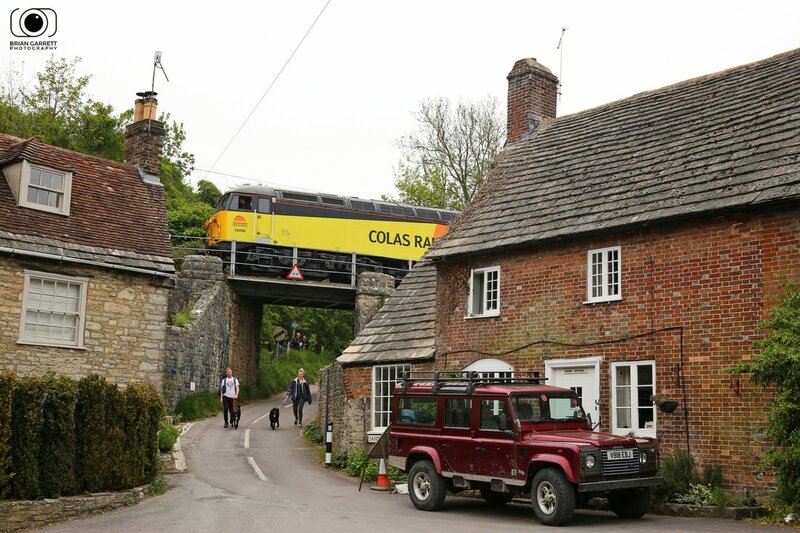 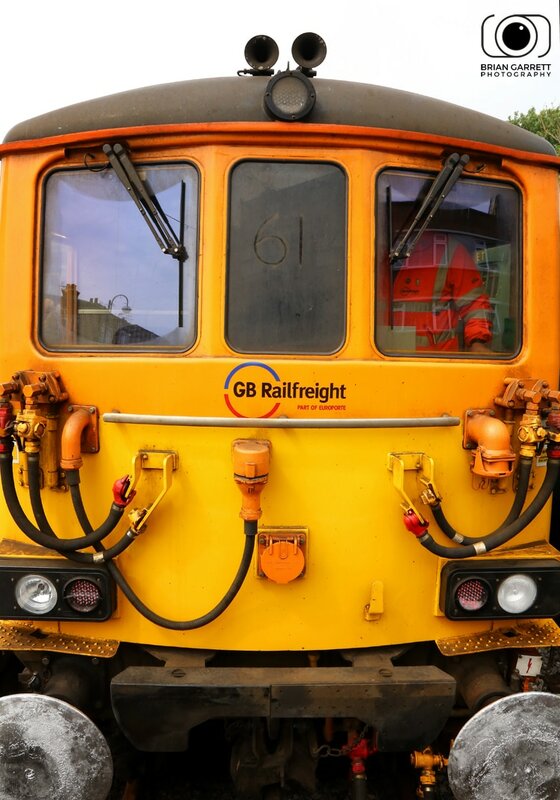 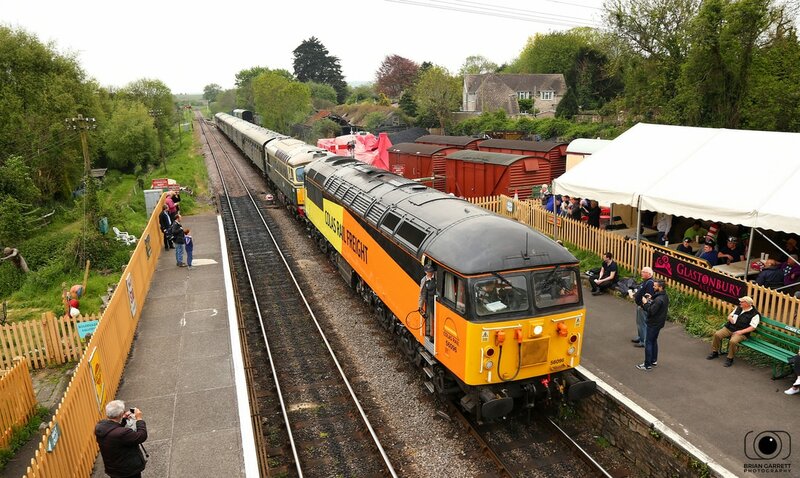 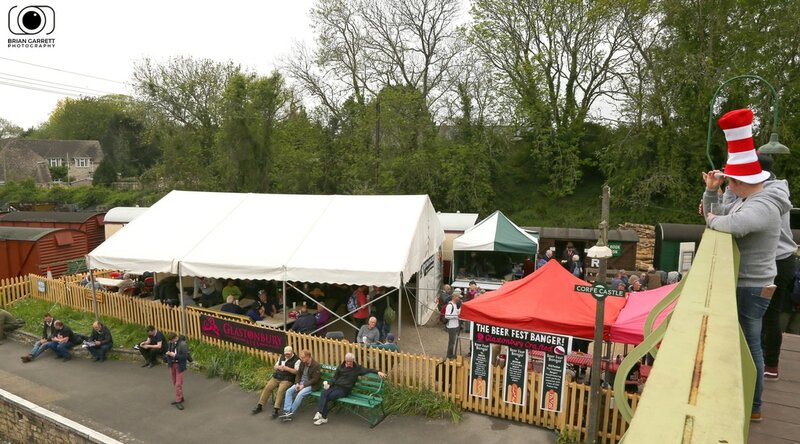 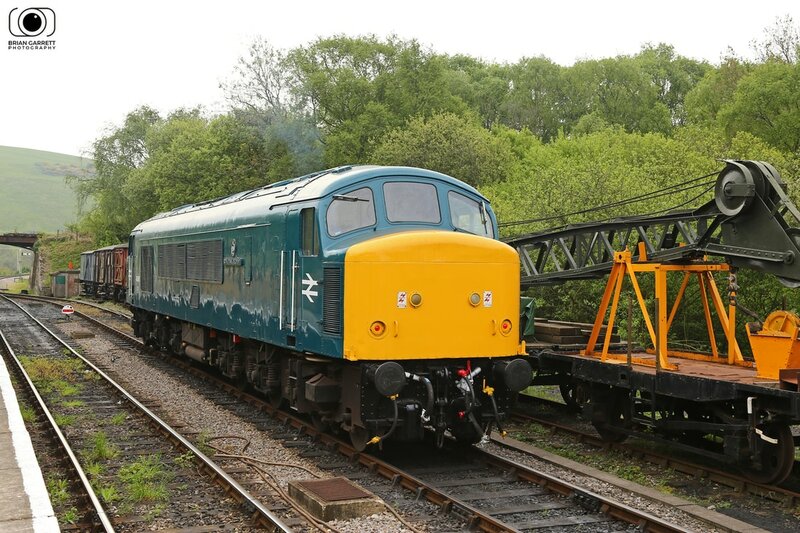 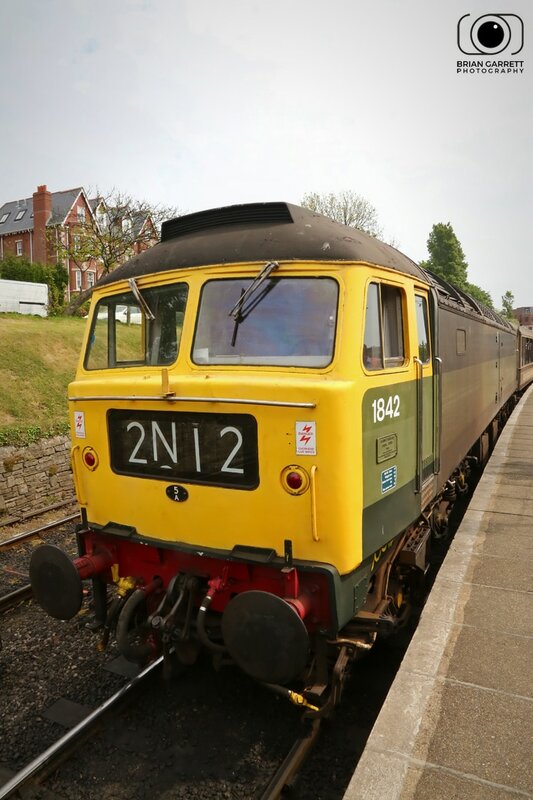 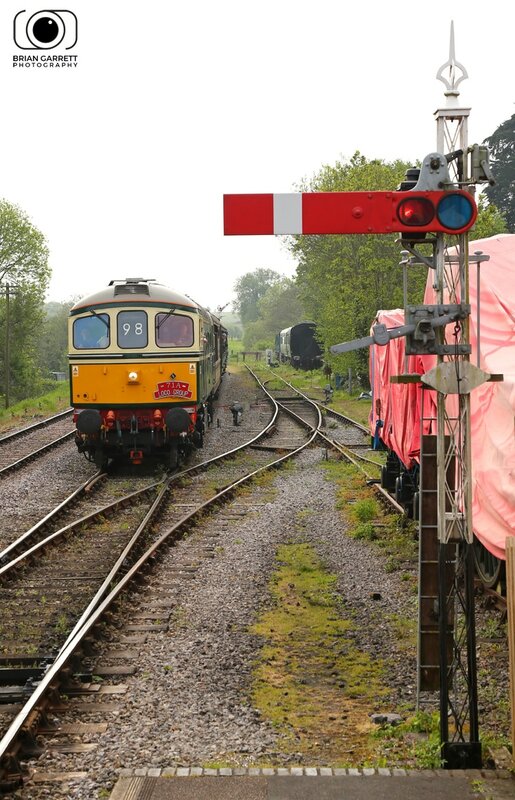 The annual diesel gala has fast become the premier Diesel Gala in the South West, with year on year success growing the core principles which draw in Railway Enthusiasts from far and wide. 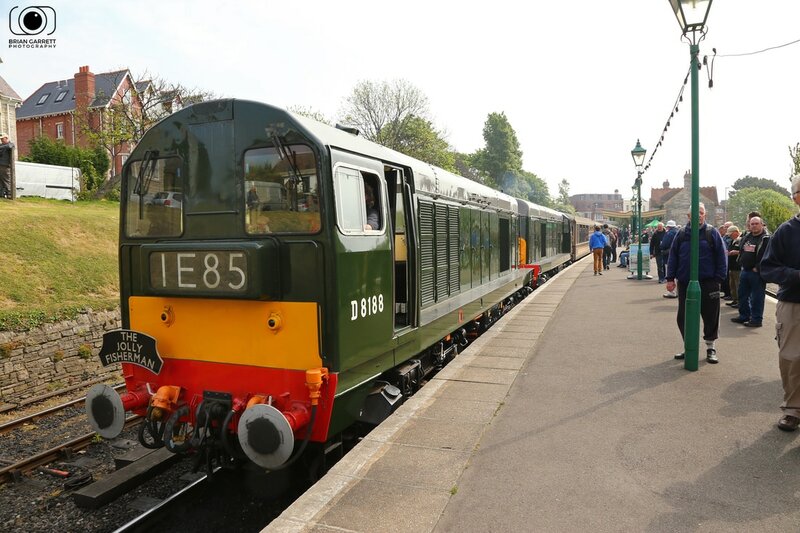 The 2017 event featured 10 visiting locomotives with class members from right across the British Rail spectrum. 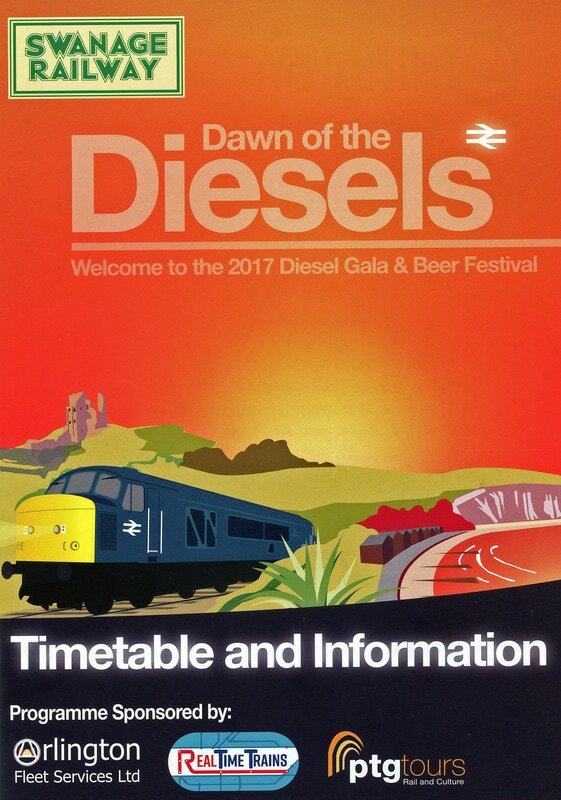 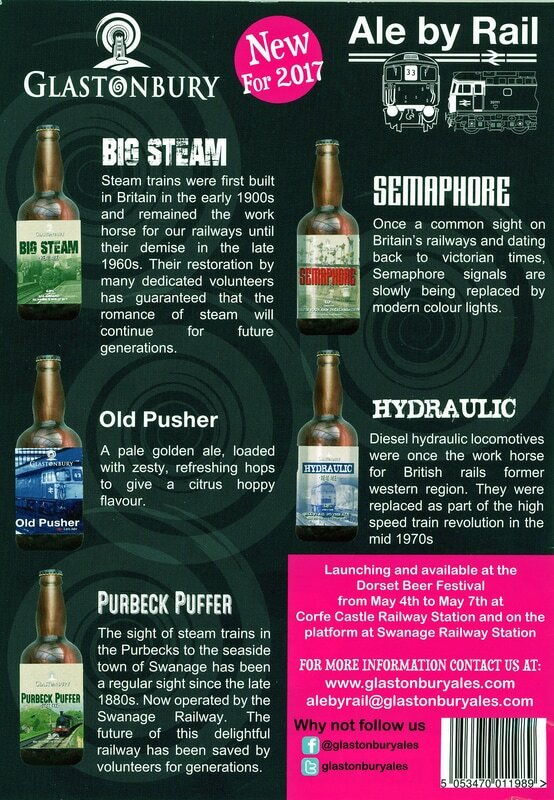 The tried and tested technique of combining Diesels, Real Ale, BBQ food, special edition etch glasses, special mugs for each event, late night Beer Ex services and driver experience works brilliantly and provides much needed additional income to the railway to help boost the takings throughout the three day event. 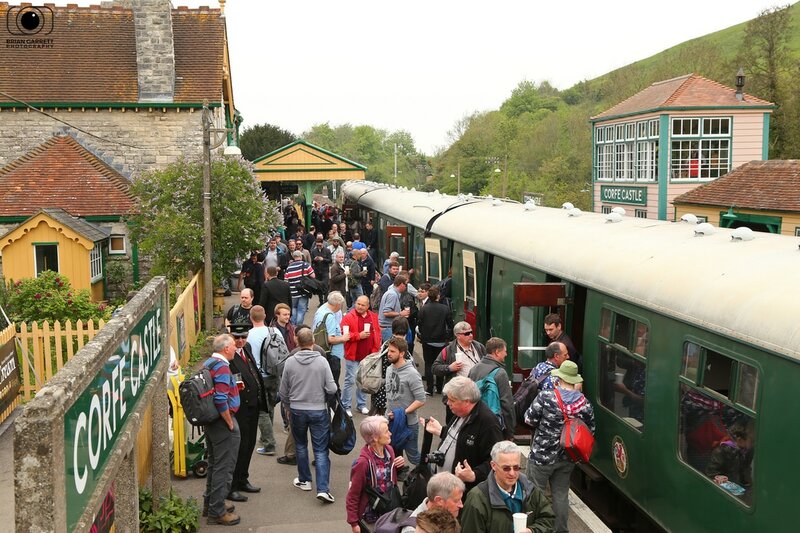 The railway's Pullman Observation Car was also used which gave a unique up close of the locomotive to those who chose to travel for an additional £1 per trip. 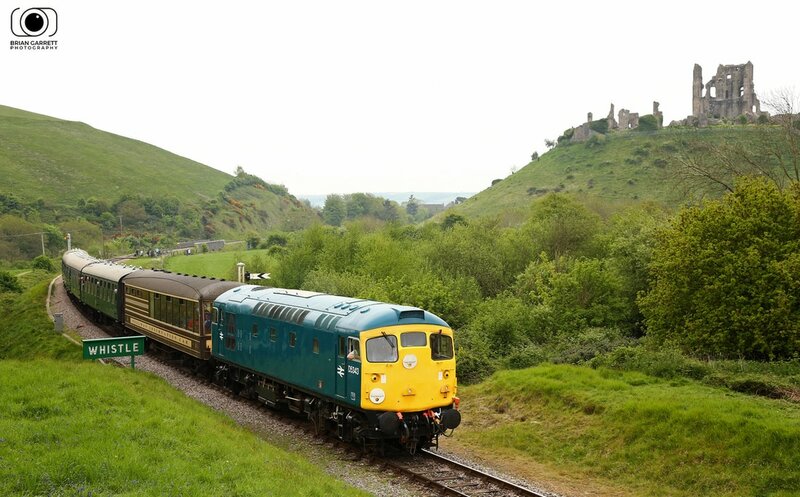 The true spirit of the Swanage event also comes from its unique location close to the Dorset coast, with the line winding between the local hills and castle ruins before heading to the coastline.